Hi there! If you're reading this, I assume you found me through the Ultimate Blog Party 2012 over at 5 Minutes for Mom. Thanks so much for stopping by! First, a little about me. I am a 38 yr old long-time craft-and-book-aholic, living in the Metro DC area. I also happen to be a happily married wife and mother to 2 little girls. I have what many would say is the job of their dreams as a book buyer for a major retailer, which basically means I get all the free books I want for me, my kids, friends, family, and strangers on the street corner. I only wish I had the time to read them all! I started blogging as the Crafty Garden Mom about 2 years ago. Short story is my oldest daughter and I had been crafting all morning, went outside to do a little gardening, and she said, "Mommy, you're not just a mommy, you're a crafty garden mommy!" It was so cute the way she said it, and it was all I could think of when picking a blog name later that night. 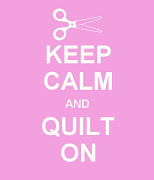 Although I have a bad case of self-diagnosed Crafter's ADD, my main crafts today are quilting and knitting. Gardening is a more part-time hobby for me in Spring and Summer. I am a voracious reader all year round (2-3 books a week, yes I read while changing diapers!) I talk about all of these hobbies at various times, depending on what's going on in my life that week. A little over a year ago I decided to start a podcast as Crafty Garden Mom. 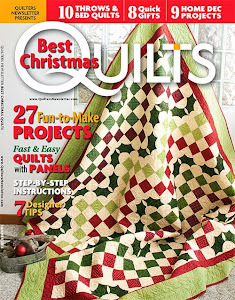 There I discuss motherhood, quilting, knitting, and of course books! It's been a lot of fun podcasting and I have met so many wonderful fellow crafty podcasters along the way. Thanks again for stopping by! I hope you'll leave a comment saying hi, and I will come find you on your blog. I get to be your 90th follower-- how cool is that? I'm coming to you from the UBP, but I decided to start at the bottom of the list since some of us are just so fashionably late it's awesome and I figured there's a chance we might be missed. I'd love it if you'd come over to localsugarhawaii.com and "join the ride". Oh, oh, oh and bring the kids and a few books-- we can lie down under a palm tree and have a good read. Stopping by via the UBP to say hi. I love the story behind your blog's name, that's awesome. I work a couple of jobs so I don't have as much time to read as I'd like so I love hearing about books from others. Stop by and say hi some time and happy UBP! Well, I DID wonder where that name originated. Great! And I love your book suggestions - I've read some of them myself - THANKS! Oh my goodness, I have crafter's add too! Is there hope for us? :P I absolutely *love* how your blog got it's name. So, so sweet.